Selection of related studies and projects that might be of interest in the developement of one-stop-shops and/or energy service packages. 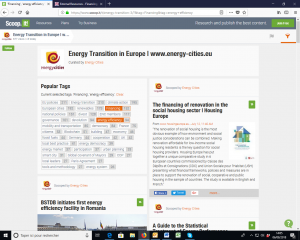 Energy Cities’ content curation on financing and energy efficiency allows users to keep up with the most relevant developments regarding innovative financing instruments for energy efficiency. In Nordic countries significant primary energy efficiency potential exists in houses built before 1980. These houses are more than 30 years old and need to be renovated, which provides an opportunity for implementation of energy efficiency measures. However, there are several economic and market barriers and the renovation markets are dominated by handicraft-based individual solutions. 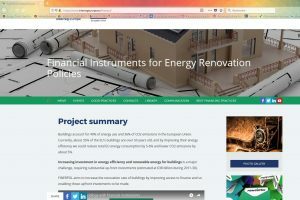 In this project we analyze the opportunities for implementation of one-stop-shop business models where a single actor offers full-service holistic renovation packages including consulting, independent energy audit, renovation work, follow-up (independent quality control and commissioning) and financing. The Internal Contracting (intracting) model, developed by the city of Stuttgart presents a totally different way of managing municipal budgets. Coupled with a revolving fund, the mechanism is used for public buildings. Setting up a soft loan scheme with local financing institutions was the second mechanism developed in the frame of the project. Related to the residential building sector, this financial product breaks down the barrier of the difficulty for citizens to prefinance their work. Finally, the city of Stuttgart developed a ‘carefree energy renovation package’ for homeowners. The package includes: planning, building and construction, operation and maintenance, financing, guarantee and risk assumption. Homeowners do not need to secure upfront financing for the replacement of the heating system. This is financed by a municipal ESCO to whom the homeowners pay a monthly service fee through energy supply contracting. 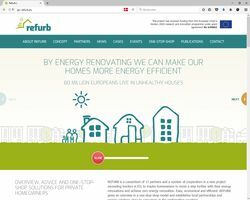 The main aim of REFURB is to bridge the gap between the supply side and demand side by developing a methodology or roadmap, which will result in dedicated renovation packages for different market segments and regions in Europe. The first target is the private residential sector (homeowners) but a preparation to expand to other market segments will take place within the project. Renovation towards NZEB-standards will be customizable in order to ensure that they meet local demands and can be provided by local suppliers. 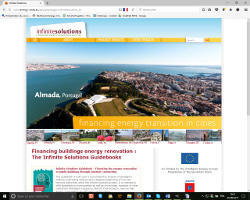 Innovative financing models, such as Third Party Financing schemes (TPF) including Energy Performance Contracting (EPC), revolving funds, soft loan schemes, and cooperative models are developed across the European Union. Those models have proven to be successful in providing financing for large scale and deep energy efficiency renovations in buildings. 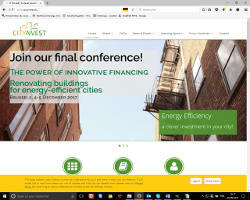 Citynvest aims at supporting and replicating successful innovative financing models for energy efficiency renovations in public buildings. 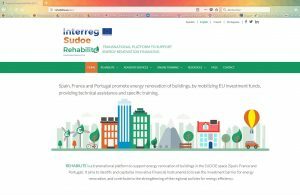 REHABILITE is a transnational platform to support energy renovation of buildings in the SUDOE space (Spain, France and Portugal). It aims to identify and capitalize innovative Financial Instruments to break the investment barrier for energy renovation, and contribute to the strengthening of the regional policies for energy efficiency. 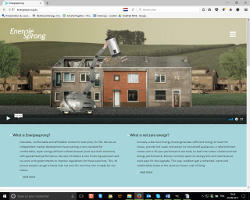 Energiesprong is a revolutionary dutch government-funded innovation programme, that proposes a whole house refurbishment,new building standards and funding approach. 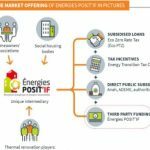 Energiesprong uses the social housing sector in each market as the launching market for these solutions, with a view to later scale to the private home-owner market. 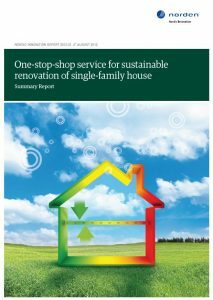 The Energiesprong refurbishment standard implies a renovation is completed within one week, without residents having to vacate the home. Moreover, it comes with a 30 (or 40! )-year warranty covering both the indoor climate and the energy performance. The refurbishment is financed by combining the energy costs savings from the tenants and costs the social housing organisation saves on maintenance. Ultimately, residents get a better and more comfortable house without any additional monthly expenses. Energiesprong attracted two European funding lines contributing to executing this international expansion: a Horizon 2020 and an Interreg North-West Europe project. 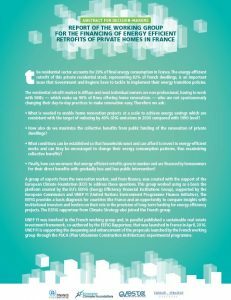 Energies POSIT’IF has been the first semi-public company in using the third party funding for the energy building retrofit in the Ile-de-France region. They have established One-Stop-Shop solutions to accompany and support condominiums and social houses organisations throughout the renovation process, providing them with a complete package of organisational, technical, legal and innovative financial schemes services. The OSS offers two operational business models: on the one hand, the OSS can collaborate with condominiums in the development of the plan and in the arrangement of the financial schemes, but the implementation remains in the hands of the condominium. Or, on the other hand, the OSS services can go further as they are in charge of implementing the plans. The project has ended but the OSS is still operational.